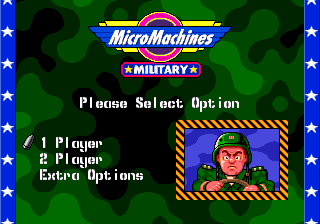 Micro Machines: Military is an entry in the Micro Machines series and the last to see a release on a Sega platform. It was released exclusively on the Sega Mega Drive in Europe. Main article: Micro Machines: Military/Magazine articles.